Our CEO Paul Gladstone and his friend Lloyd have just returned from a huge adventure!! This clever owner of a financial recruitment firm won a fantastic competition and was awarded the illustrious Conti4x4trophy – the driving experience of a lifetime! From there, Paul and Lloyd drove one of 14 Hummers, exploring the Atlas mountains and the Sahara Desert, crossing breathtaking scenery and fiery sand dunes, navigating through rocky gorges and fording spectacular rivers. 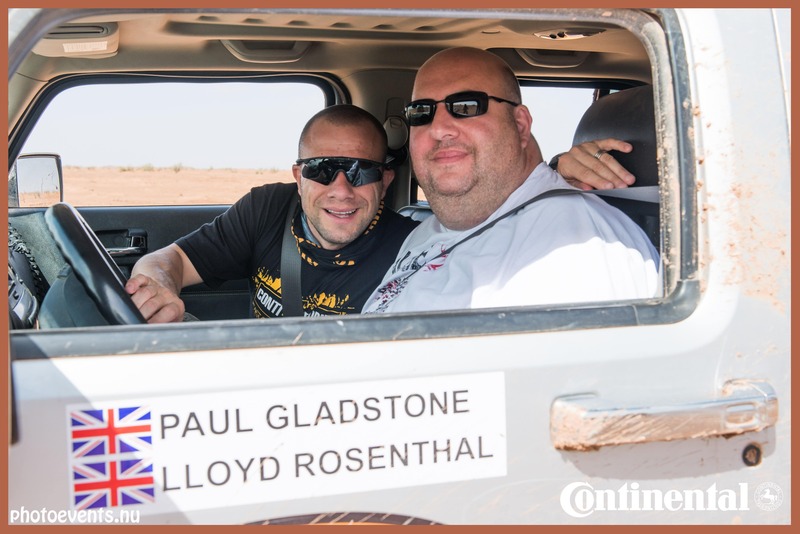 Having negotiated difficult terrain during the day, they were pampered at night in luxury hotels – and spent one night camping under the stars in a Bedouin tent! The Financial Staffing Solutions team won the competition at a qualifying event at the Land Rover test track, where their skills and aptitude were tested. They demonstrated off-road driving ability and a range of other skills. They weren’t actually tested on their ability to recruit first class financial staff, but you already know they are ace at that! So if you would like to discuss your staffing requirements, from bookkeepers to qualified accountants – or 4X4 adventure drivers – call Paul today on 020 532 2644.